I’ve probably spent 200 hours just playing with the turtle API. Thanks Dan; I hope you keep this project alive for many years to come. 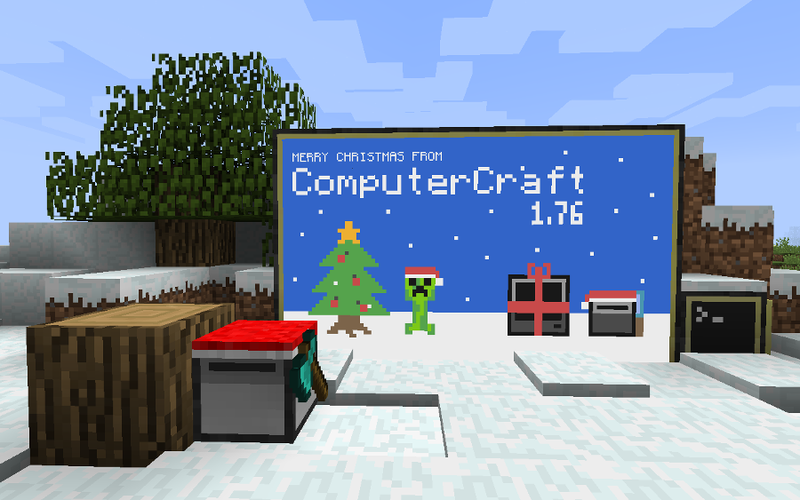 Thanks for bringing this awesome mod to mc 1.8! However, since many other mod authors seem to be stalled out at 1.7.10, I hope this doesn’t mean the end of bug fixes / support for the 1.7.10 compatible version? Wow, can’t believe it was five years ago! Time flies, huh? I wonder what the record for the longest running active mod is…. I reckon you’d be coming pretty close. Anyway mate, I hope you realise just how much you’ve changed the minecraft and computer programming communities, props to you. Keep up the good work! How do i use teletext? I’m a user of the CC forums, and I’m impressed by the fact that we’ve reached 1.8 already! With 1.9 on the doorstep I hope CC will continue to grow strong.